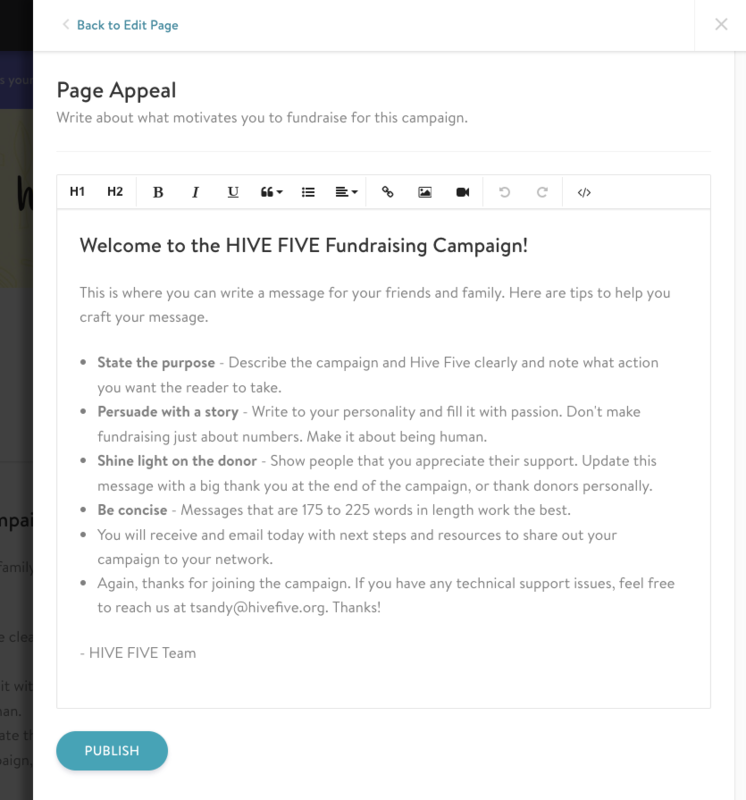 How Can I Edit My Fundraising Appeal? 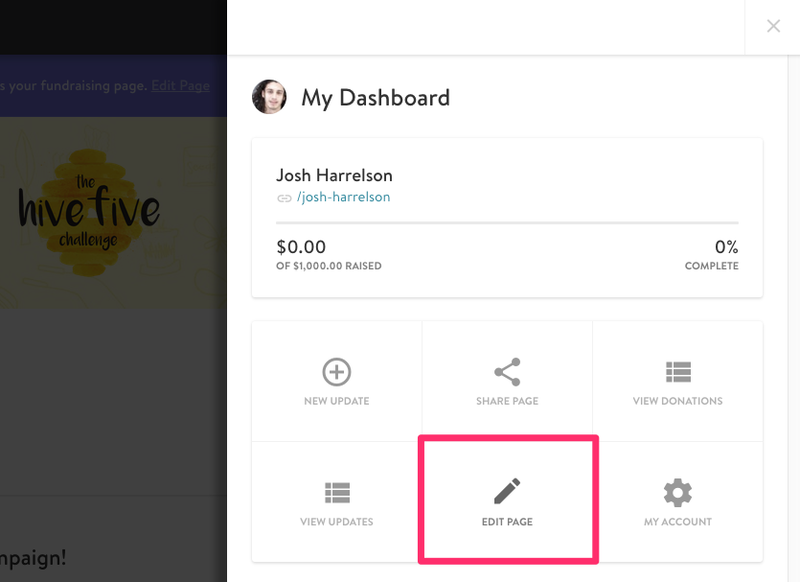 You can edit your fundraising appeal by clicking on "Edit Page" button from the Dashboard menu. 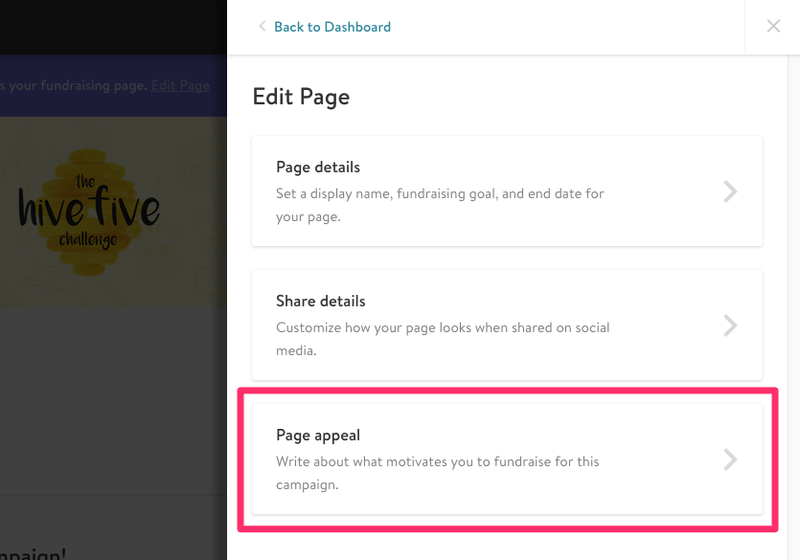 You can edit your fundraising appeal by clicking on "Page Appeal" from the Edit Page menu. This section usually comes pre-populated with the default appeal found in your campaign’s main site. Feel free to edit this section and compose your own personalized appeal, and add photos or videos to your personal fundraising page using the toolbar. We recommend writing your appeal with your family and friends in mind and sharing a personal story about why you got involved with fundraising for the nonprofit.